1. Does it look luxurious, expensive and stylish? 2. Is it soft enough for tabled card work? 4. Can it be used as a pillow when waiting in my car between gigs? This pad is pretty large. It's 13" x 17" and is a nice royal red color. It's very plush and squidgy and solid wood base, which means that it doesn't crease like standard close-up pads. 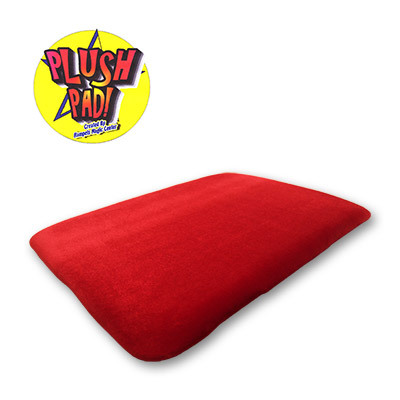 The material is plush "cushy velvety", which makes it the perfect display area for your performance. We have other colors in stock too, which you can choose from when adding this product to cart. Just let it be known that I'm a metrosexual kinda guy and I think this color is the nicest. * The answer to this should be no.